Who’s Who in My Family? For a young child, understanding all the little nuances and quirks of human social behaviour must be bewildering. We all discover, bit by bit, why adults say and do certain things with certain people – shake this person’s hand, kiss that person on the lips, call that person a rude name when they’re not around – but it takes a lot of learning! 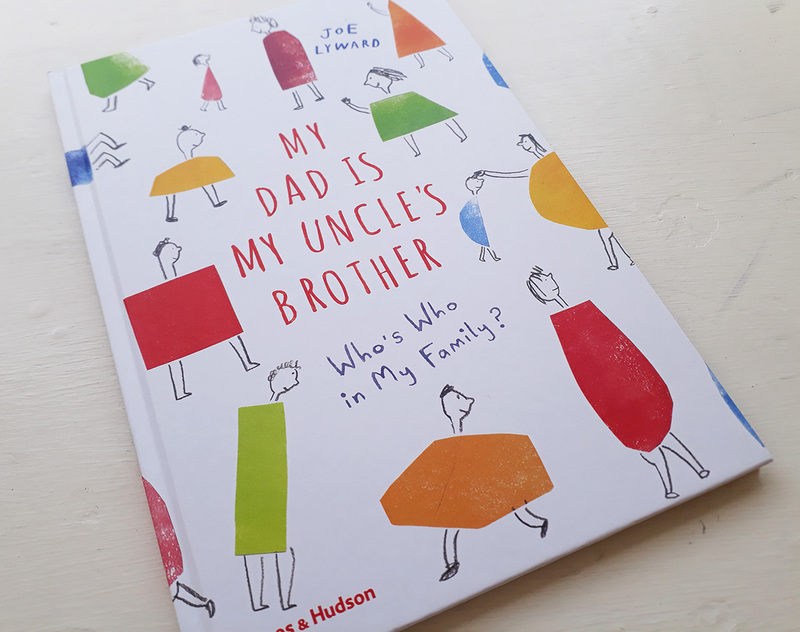 Joe Lyward playfully explores one of these confusing matters in his illustrated book My Dad is my Uncle’s Brother, which follows a young boy as he gets increasingly befuddled by all the different names that the people in his family have given to each other. 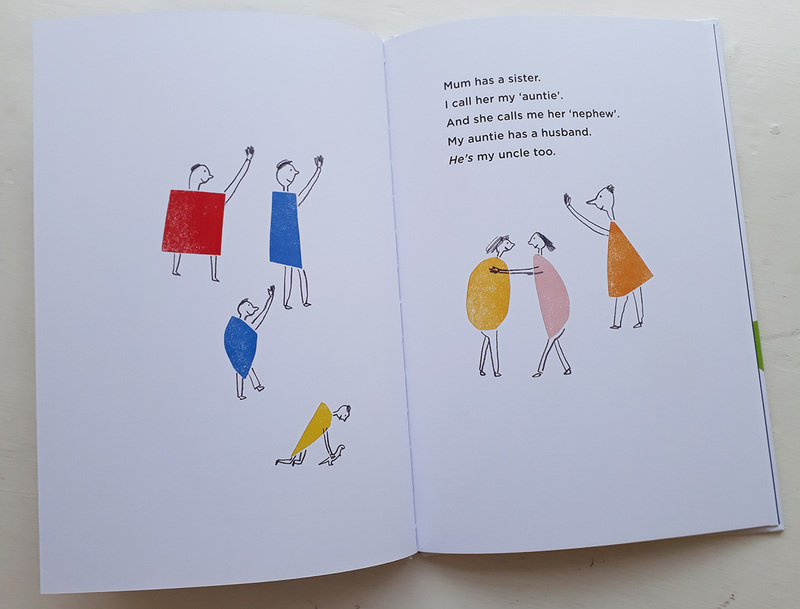 There is a real sense of play in the way the characters have been drawn and collaged from a range of brightly coloured shapes – a stooping “c” shape for the grandfather, the uncle’s long orange triangle body that matches his pointed nose. The chosen shapes boast some of the essence of the characters themselves, much in the same way a child might draw one of their family members. 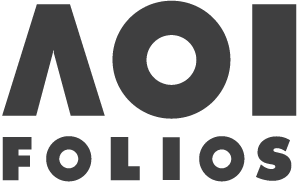 Kids tend to pick up on prominent features or mannerisms, and that is often reflected in their drawings. They are expressive in a very simple, direct way, and Lyward has tapped into that purity of representation in this book. 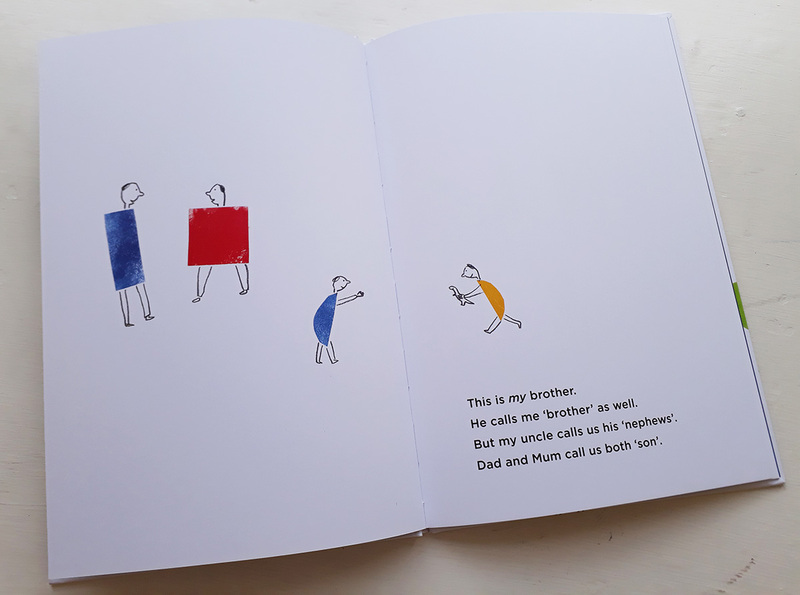 While the illustrations will allow a child to recognise each character as they recur from page to page, the narration – particularly after multiple reads – will gently embed into their minds all the familiar names we give our relatives; auntie, nephew, cousin, step-dad. It is written to highlight the child character’s confusion, and the pages grow more and more full with all the people he’s trying to juggle as each new family member is introduced. But it is not overwhelming to read, and it does not demand or expect anything from the child who reads it or has it read to them. 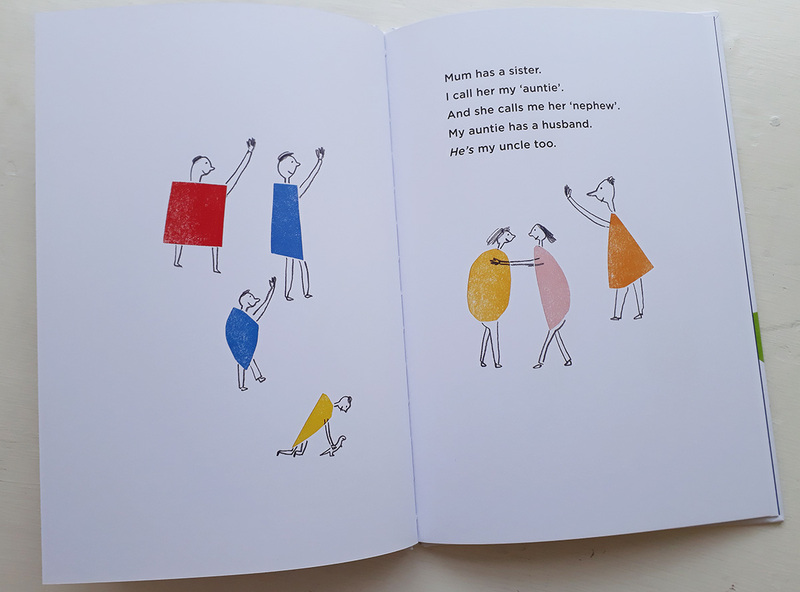 The message at the end is a simple and reassuring one, and the real strength of the book is one of engaging repetition and a gentle introducing of new terms and ideas for a child trying to make sense of all the strange and silly things we adults say to each other.